The Queen's Life Guards also known as The Blues & Royals, are part of the Household Cavalry and is made up of two regiments of the Household Divison, that can be trace it's lineage back to the New Model Army the other being the Coldstream Guards. The Mounted Regiment who guard the offical entrance to St James's Plaace and Buckingham Palace outside Horse Guards in Whitehall, London. 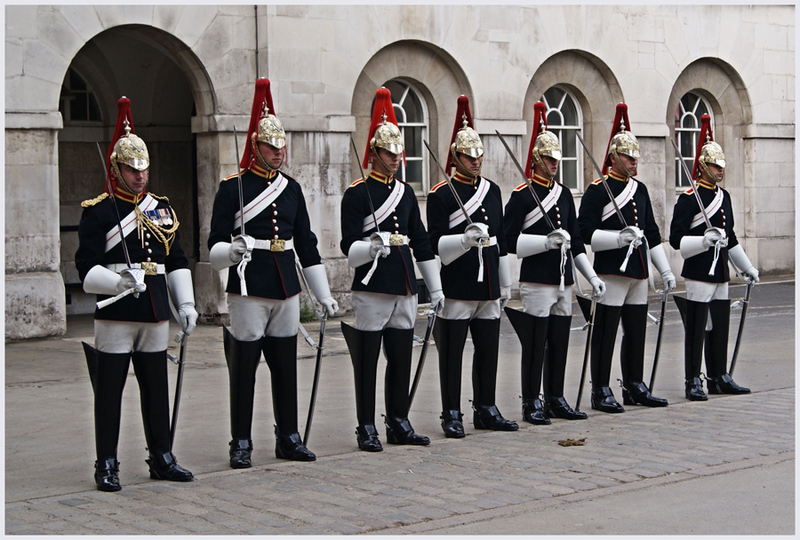 The Guards changing Ceremony takes place each weekday at 11:00am and at 10:am on Sundays at Horse Guards Parade. The mounted sentries (who change every hour) are on duty from 10:00am until 4:00pm. The Colonel-in-Chief is Her Majesty The Queen.